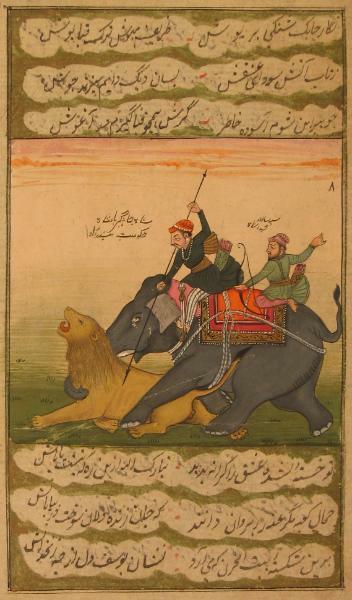 This scene taken from a folio of an epic poem in Persian shows two princes astride an elephant hunting a lion. 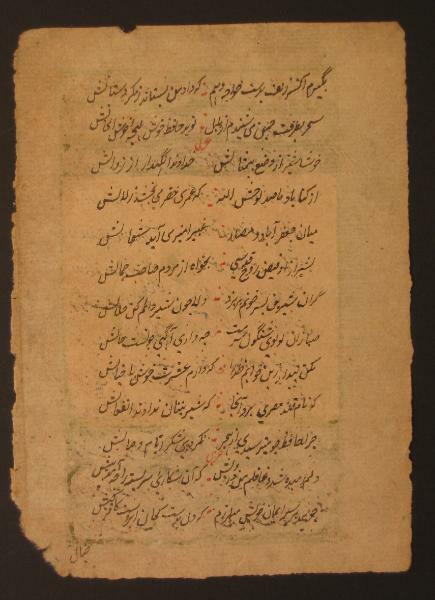 Persian verses are at the top and bottom and on the reverse. 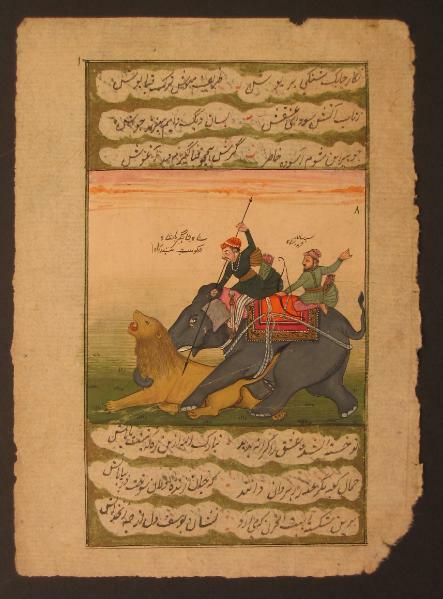 The page number is Arabic indicates that this was leaf five in the folio. 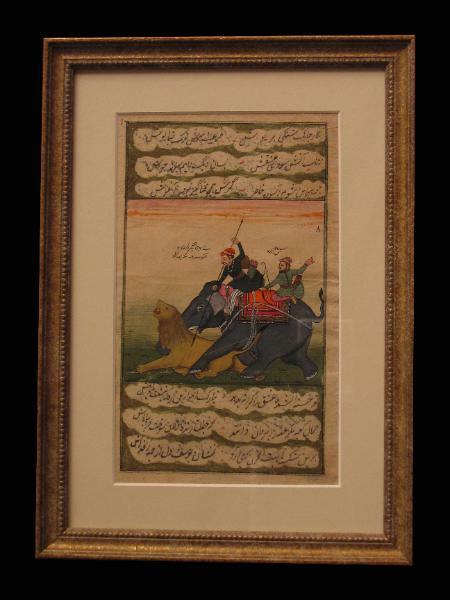 The miniature is attractively presented in gilded frame.